Lightroom is second to none in terms of RAW processing. It is a standard RAW editing tool widely-used by professional photographers around the world. One of the handy features offered by Lightroom is preset. Well, preset is not a unique feature since most RAW editors, including Darktable, also have one. But, the preset feature on Lightroom is something different. Lightroom allows you to store the presets into external files. Some photographers even run a business by selling Lightroom presets. 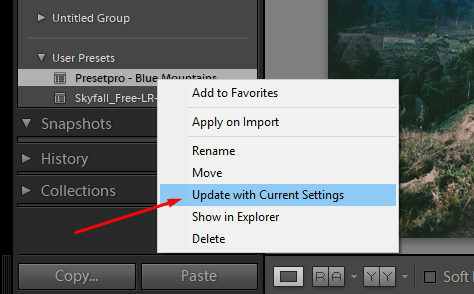 In case you are new to Lightroom, presets are files containing specific adjustments you applied into a photo. When you are editing a photo in Lightroom, there must be some adjustments you make. Like temperature, tint, exposure, tone curve and so on. If you only edit a single photo then there is no problem with it. What if you have to edit several photos from a photo shot at once? Here is how presets come into play. You can apply the same adjustments (temperature, tint, exposure, tone curve an so on) from a photo to another ones with only a single mouse click thanks to presets. This can help you save lots of time in post-processing. As mentioned earlier, Lightroom allows you to store the presets into external files so that you can exchange presets to fellow photographers. Since editing a photo in Lightroom can take time (you need to adjust every value to get the best tone) some photographers prefer to buy presets instead of creating ones their own. The current version of Lightroom uses the extension of .xmp for preset files. Every time you create a new preset, it will be stored in the Adobe Camera Raw settings folder as a .xmp file instead of .lrtemplate (previous file extension of Lightroom presets). But, you can still use the Lightroom presets that are available in .lrtemplate files (visit here to learn more). Here are how to create, delete, import, export and manage presets in Lightroom. Once you are done editing a photo and happy with the result, you can save all of the applied adjustments in a preset for recurring use. To create a new preset, navigate to the Presets menu on the left panel. 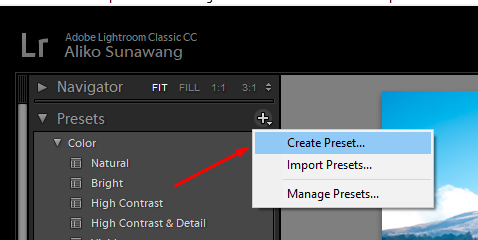 Click the plus icon and select Create Preset. Or, you can also press the Ctrl+Shift+New buttons on your keyboard. A pop-up window will appear. 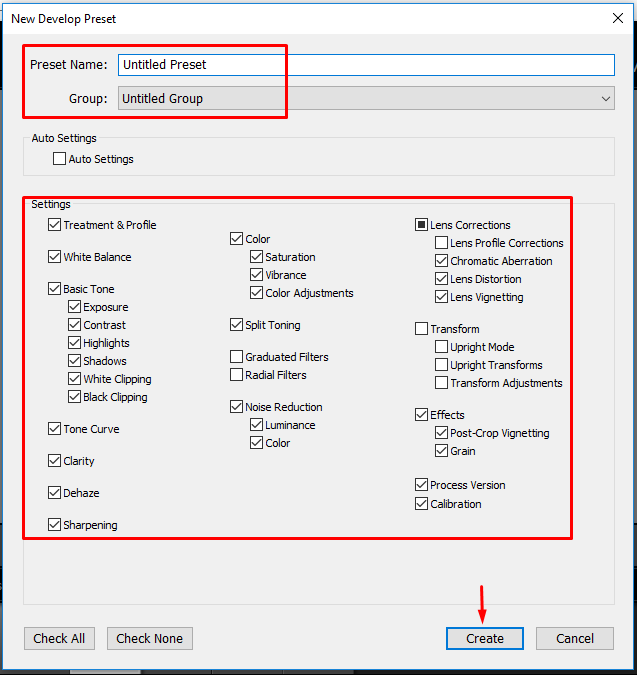 Give your preset a name and select a group where you want to save your preset to. On the Settings section, you can select which adjustments you want to store in your preset by ticking them. Click the Create button once you are done. Lightroom also allows you to update the existing presets in case you want to change certain values like saturation, exposure, white balance and so on. 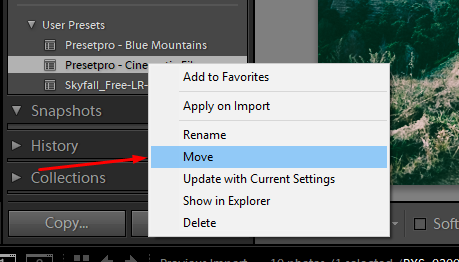 To edit a preset, open the Presets menu on the left panel and right-click the current preset. Select Update with Current Settings. A pop-up dialog will appear. Simply click the Update button to apply the new adjustments. If you already have too many presets and want to delete some, you can simply right-click the preset you want to delete and select the Delete option. Right-clicking a preset itself will give you some options other than delete. You can also rename it or move it to another group. You can even view the preset file in the file manager. Take a look at the screencast below. As mentioned above, the current version of Lightroom uses .xmp as the file extension of the presets. The Lightroom version I use on this tutorial itself is Lightroom Classic CC 8.1. On this Lightroom version, you don’t need to manually export a preset. Every time you create a new preset, a new xmp file is created on the Adobe Camera Raw settings folder. On Windows, this folder has the path of C:\Users\your user\AppData\Roaming\Adobe\CameraRaw\Settings\User Presets. 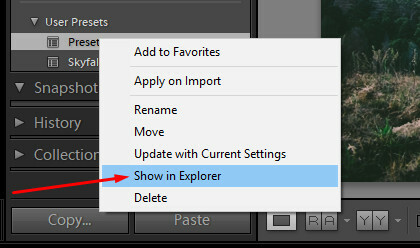 You can also go this folder by right-clicking a preset and select Show in Explorer (Windows). If you want to share your presets, simply go to the Adobe Camera Raw settings folder and copy the files of the presets you want to share. Although the current version of Lightroom uses .xmp as the file extension for presets, but you will also be able to import the .lrtemplate files. 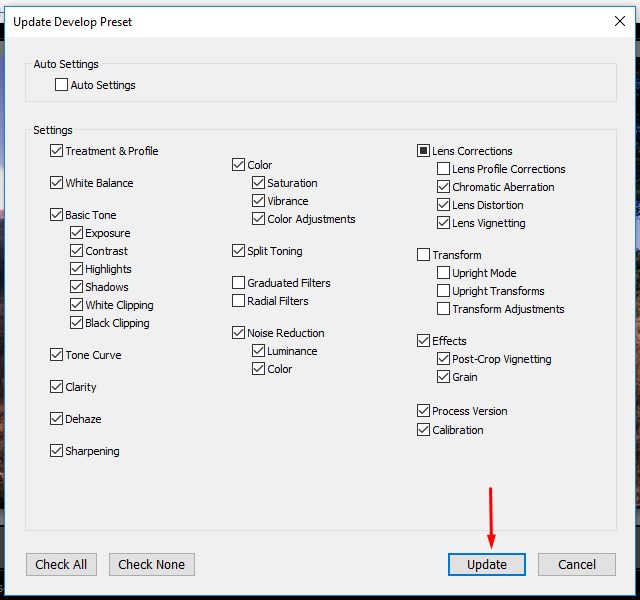 To import a preset, click the plus button on the Presets menu select Import Preset. Lightroom allows you to import several presets at once. 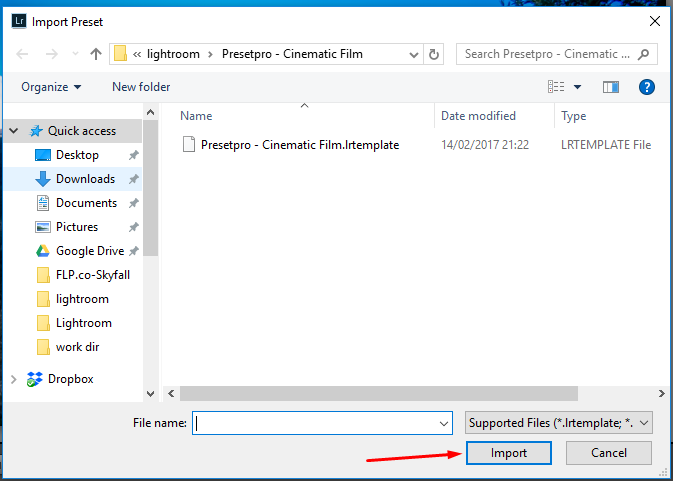 Select the preset files you want to import and click the Import button. You should now see the presets on the Presets menu. Note: If you are unable to import the .xmp files, try to install them manually by copying them to the Adobe Camera Raw settings folder. Having too many presets without organizing them can get you in a trouble to find one when you need it. In Lightroom, you can put together presets with the same categories. For instance, you can create a “Portrait” group and put some presets on the there. Or, if you love to take landscape photos, you can also create a “Landscape” group and add some presets on it. To create a new preset group you will need a new preset. To do, click the plus icon on the Presets tab (Ctrl+Shift+N). On the appearing pop-up window, click the drop-down menu on the Group section and select New Group. Don’t forget to create the Create button. 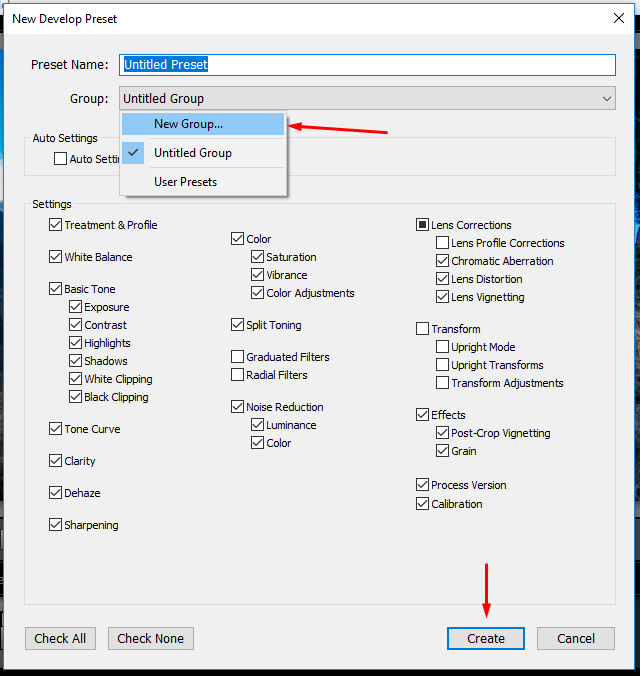 To move an existing preset into a another group, right-click and select Move. Making use of presets is pretty helpful to cut off your time at post-processing. If you are not confident enough with your own photo adjustments, there are also plenty of presets you can find on the internet. Be it free or paid. Preset is one of the great features offered by Lightroom. 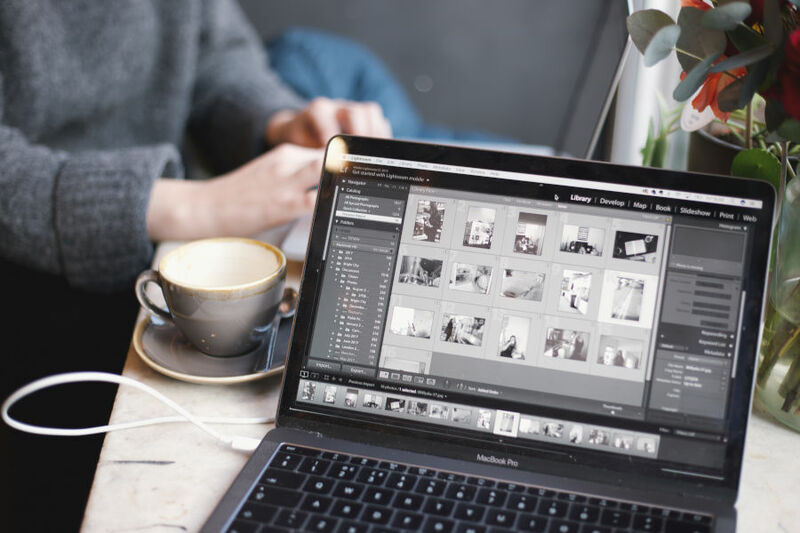 Other RAW editor also offer the same feature, but Lightroom allows you to export the presets into external files to allow you exchange photo adjustments with fellow photographers.